China, Later Tang Dynasty, 10th Century. 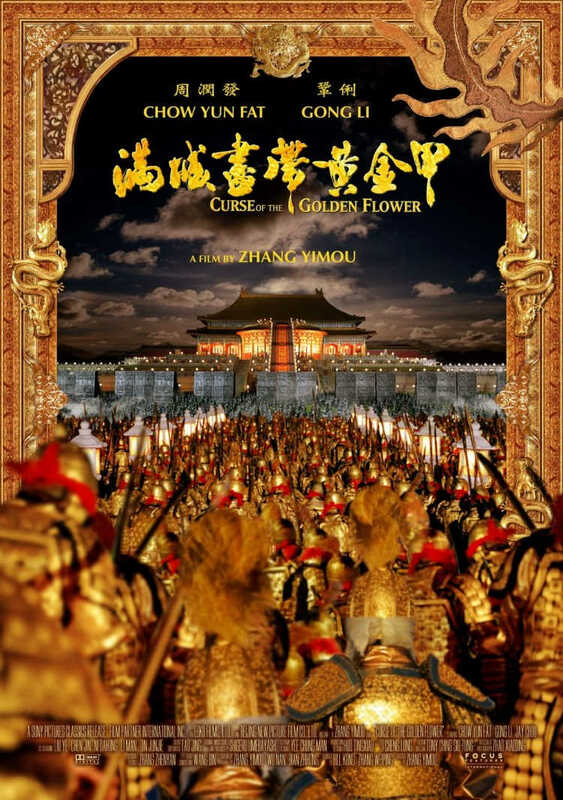 On the eve of the Chong Yang Festival, golden flowers fill the Imperial Palace. 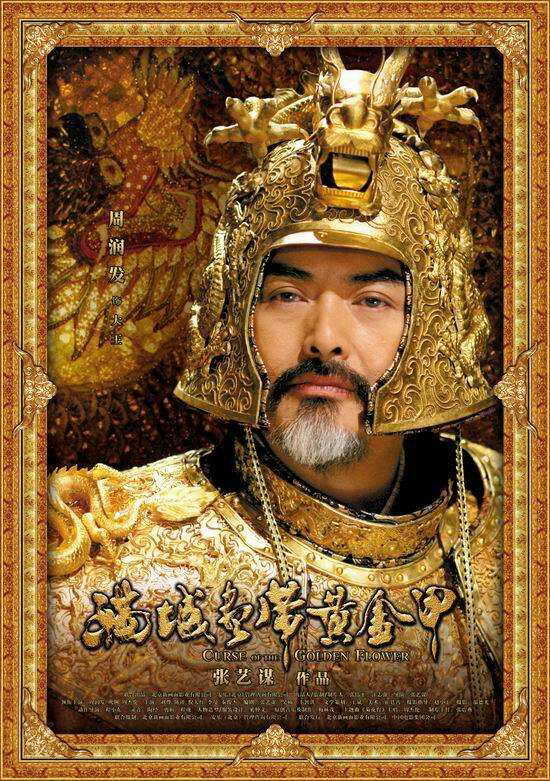 The Emperor (Chow Yun Fat) returns unexpectedly with his second son, Prince Jai (Jay Chou). His pretext is to celebrate the holiday with his family, but given the chilled relations between the Emperor and the ailing Empress (Gong Li), this seems disingenuous. 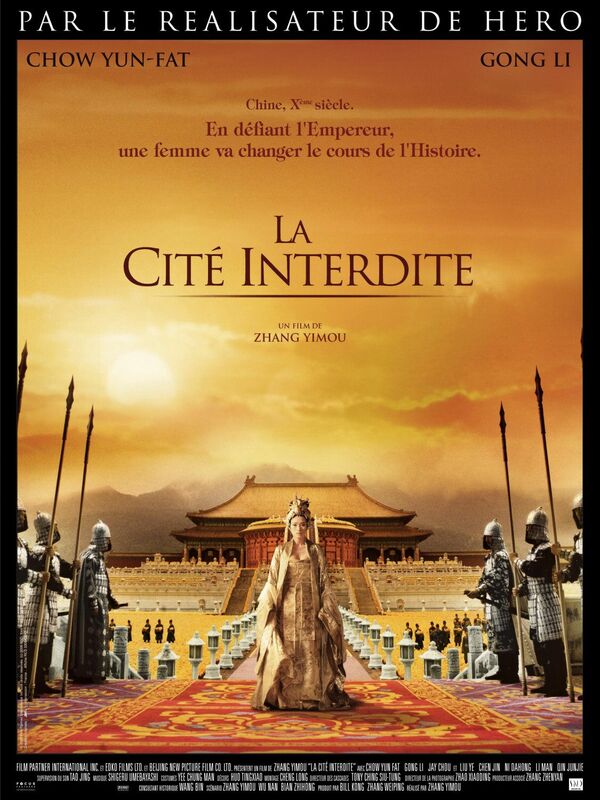 For many years, the Empress and Crown Prince Wan (Liu Ye), her stepson, have had an illicit liaison. 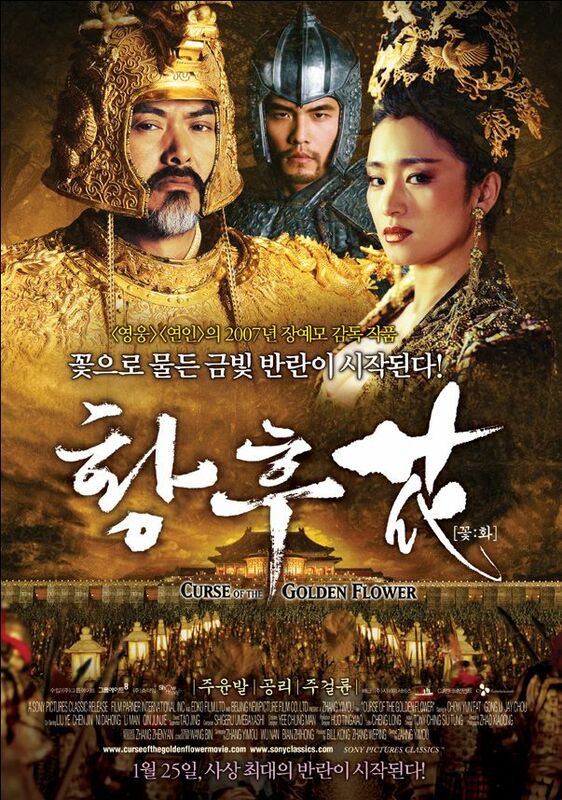 Feeling trapped, Prince Wan dreams of escaping the palace with his secret love Chan (Li Man), the Imperial Doctor's daughter. 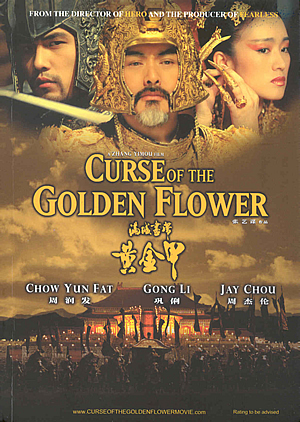 Meanwhile, Prince Jai, the faithful son, grows worried over the Empress's health and her obsession with golden chrysanthemums. Could she be headed down an ominous path? 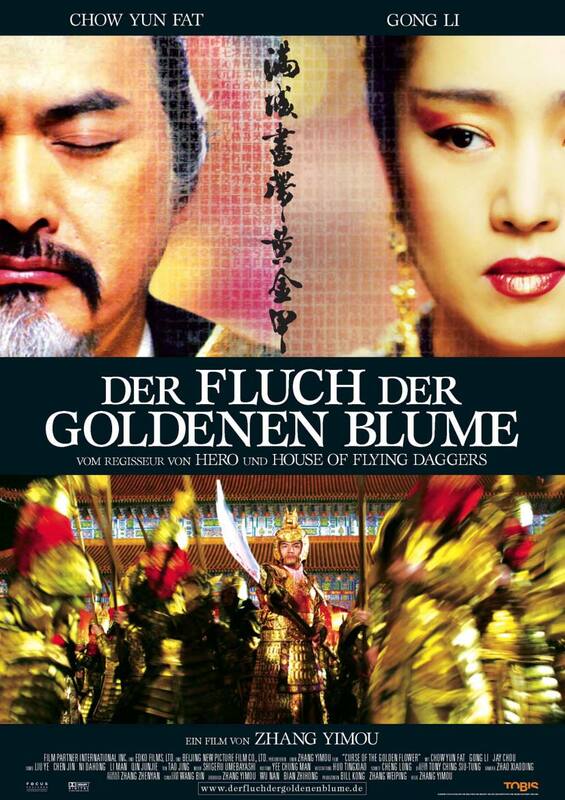 The Emperor harbors equally clandestine plans, the Imperial Doctor (Ni Dahong) is the only one privy to his machinations. 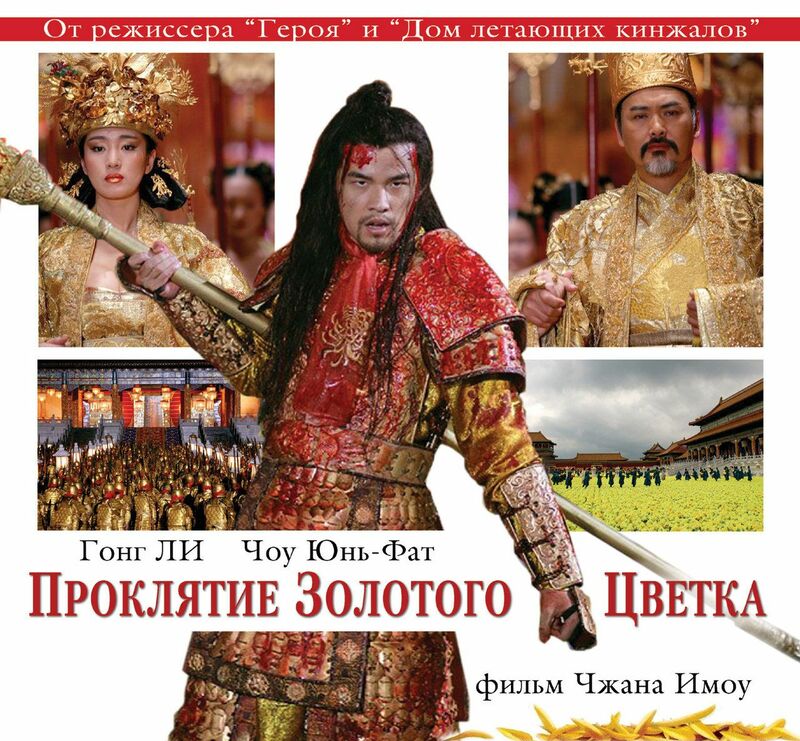 When the Emperor senses a looming threat, he relocates the doctor's family from the Palace to a remote area. While they are en route, mysterious assassins attack them. 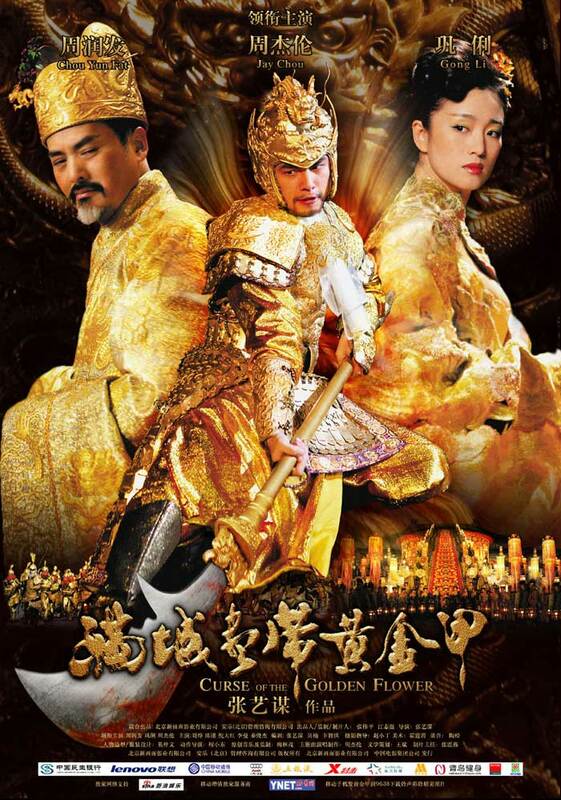 Chan and her mother, Jiang Shi (Chen Jin) are forced back to the palace. Their return sets off a tumultuous sequence of dark surprises. Amid the glamour and grandeur of the festival, ugly secrets are revealed. As the Imperial Family continues its elaborate charade in a palatial setting, thousands of golden armored warriors charge the palace. Who is behind this brutal rebellion? Where do Prince Jai's loyalties lie? Between love and desire, is there a final winner? 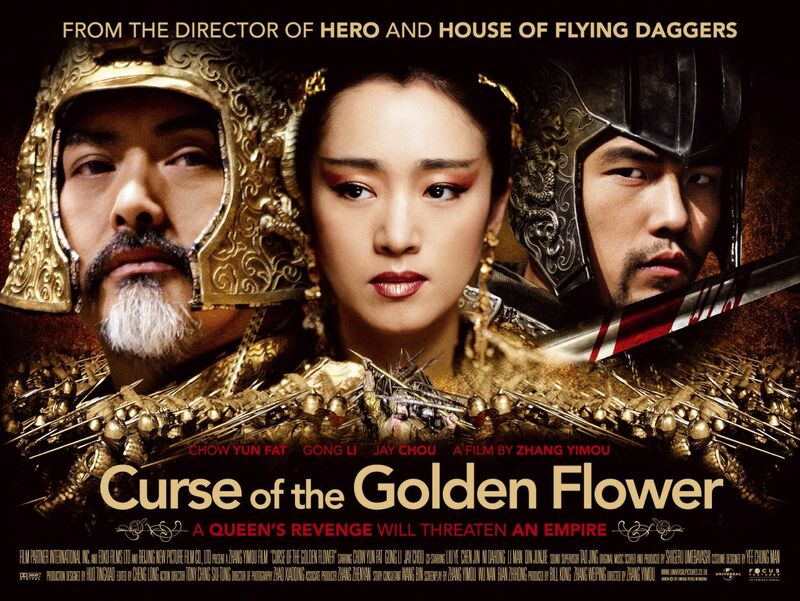 Against a moonlit night, thousands of chrysanthemum blossoms are trampled as blood spills across the Imperial Palace. 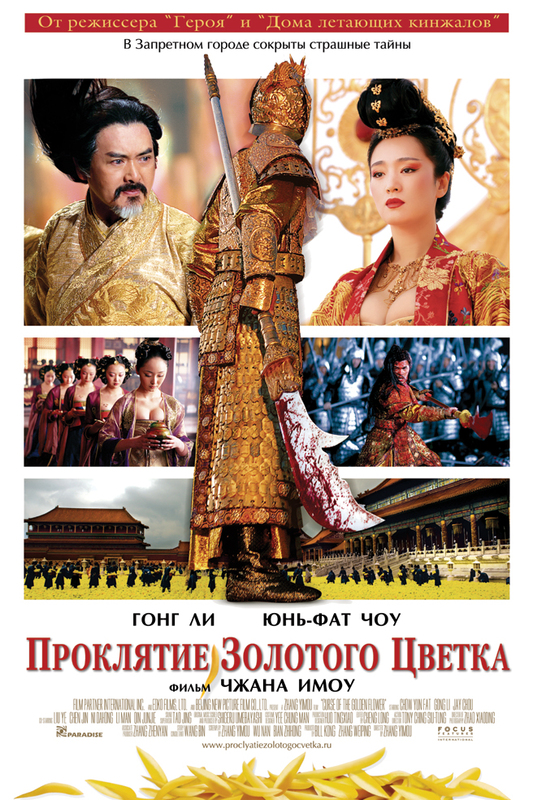 First of all, this is a commercial movie of period drama with some sort of martial arts in it. 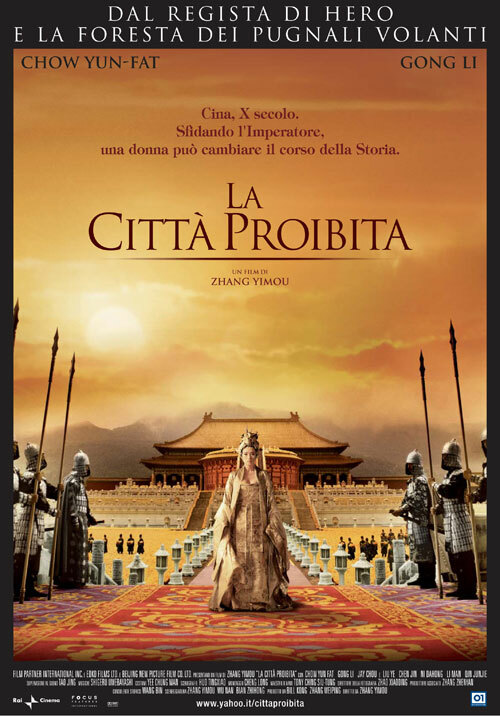 If you're looking for anything deeper, then it's not for you although the movie is loosely based on a masterpiece of play in China. 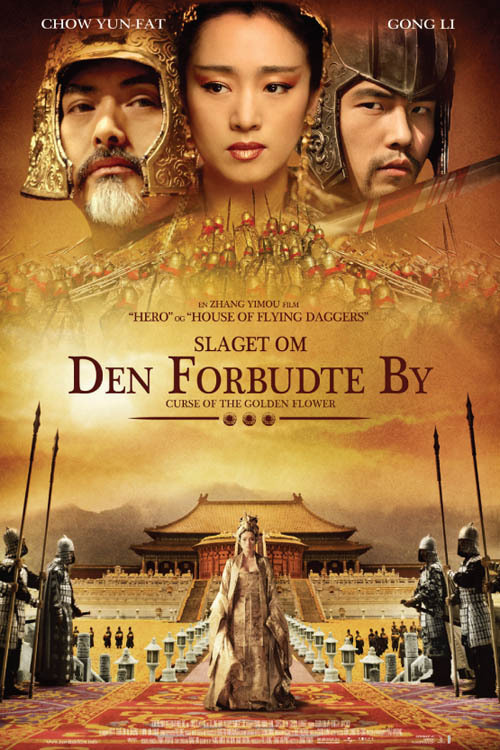 That being said, I think it's actually a nice movie.Story: B The story line is nothing amazing but flows well although not devoid of a few confusions or loopholes. 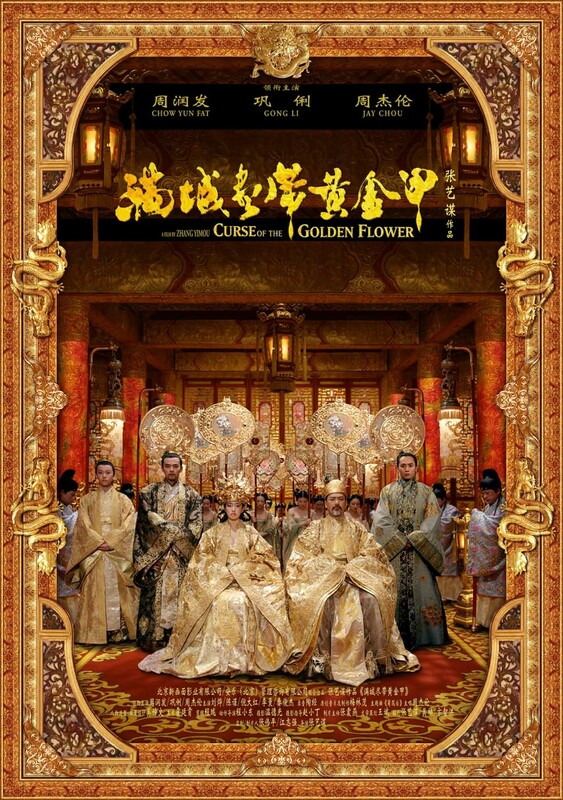 For the people who're not familiar with all the power struggle, backstabbing stories of Chinese royal families, some relationships and emotions may seem a bit too much. And it did actually get a bit overheated at certain point possibly for theatrical tensions. But overall, it made sense to me. 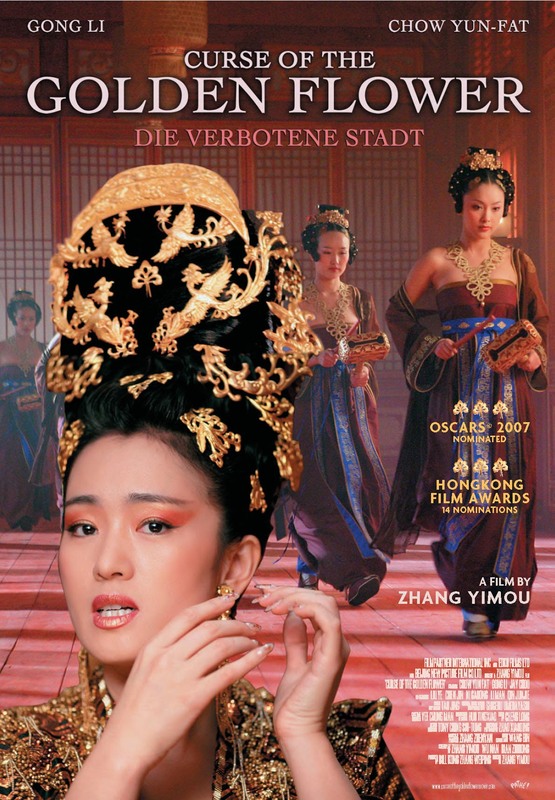 My major complaint is that he could have cut out some of the side stories while allowing the major line to a fuller development.Acting: B+ This movie focuses on Gong Li and she's a good actress. So, yes, she did a great job even though I wish it could have been toned down a bit. 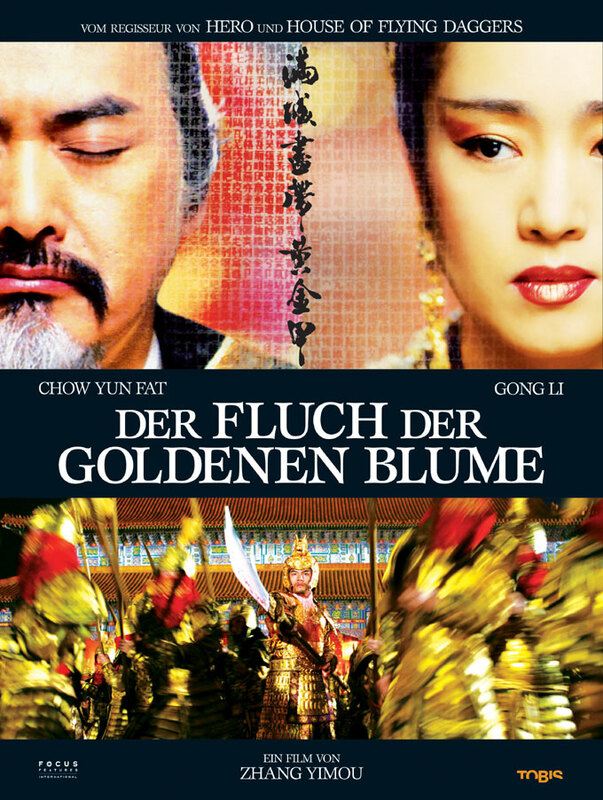 Chow Yun-fat is also good but his role is not as rich as hers. 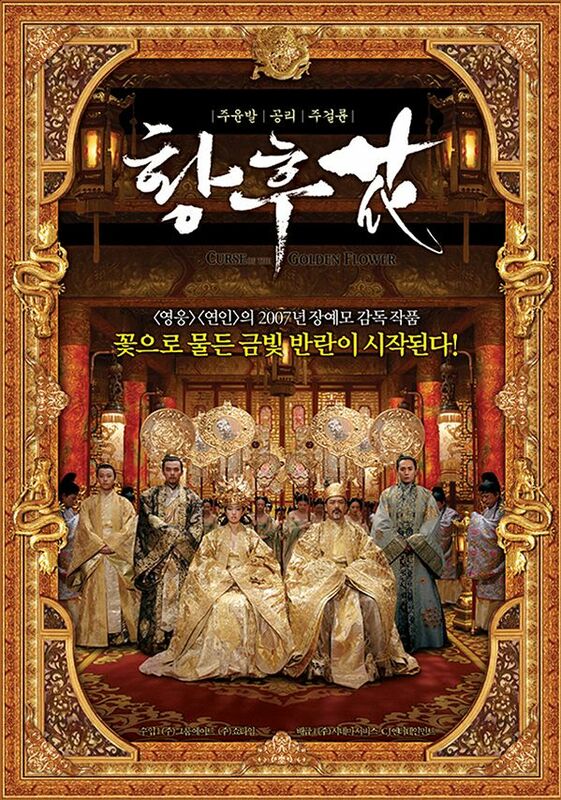 Liu Ye (crown prince) is adequate for his role and the character also has a limited range. Jay Zhou (the second son)is not quite up to par with the others (after all, he's not a professional actor). But he got better in the end.Visuals: A- Actually, I wanted to give it a B+ but I awarded it a higher mark for being so daring. It does have tons of colors and shades in it. Most of time, they actually work out cool, at least for me. But I totally understand if someone finds it way over-the-top. I actually like the fact that ZYM used bright colors, only if he had used fewer kinds of them. Those fighting scenes didn't quite catch my attention not because they're no good. Actually they're proper and effective. But since I've seem so many martial arts movies, they did not bring any surprises to meOverall, it's an entertaining movie with an understandable story and believable characters.